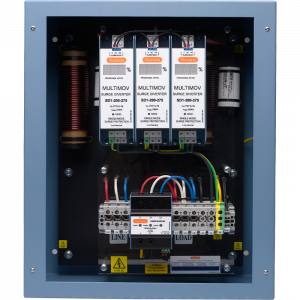 Two different load current versions are available; PP10 up to 10 A and PP15 up to 15 A.
Novaris SFD surge filters provide the highest level of protection for critical and essential equipment up to 32A per phase. Their compact design makes them an ideal choice for space restricted applications. 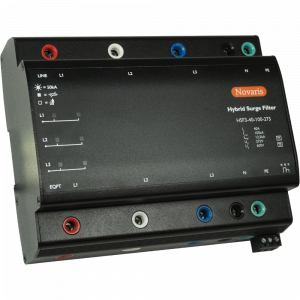 The Novaris HSF is a hybrid surge filter with primary and secondary hybrid surge protection components plus a low pass filter. The hybrid design means the filter can continuously withstand phase to phase voltage between its phase and neutral terminals yet its performance equals that of other Novaris surge filters. 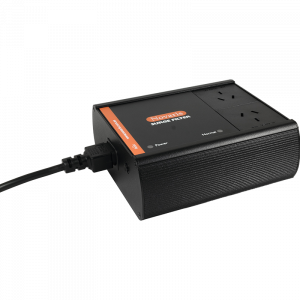 This makes it ideal for applications where voltage regulation is poor and power line faults common. 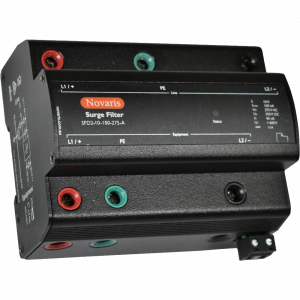 Novaris SFM surge filters provide excellent and effective MSB and DB protection for critical equipment from 40A to 125A per phase. The SFM series utilize a 3 stage protection approach with 1st and 3rd stage MOV protection and a 2nd stage low pass LC filter. Novaris SFH surge filters provide the highest level of protection with the lowest let through voltage. 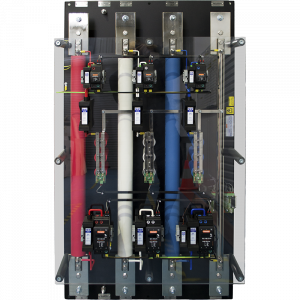 When installed at a main switchboard Novaris surge filters will protect all connected equipment. The SFH series utilize a 3 stage protection approach with 1st and 3rd stage MOV protection and a 2nd stage low pass LC filter. 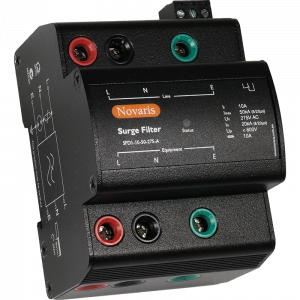 Novaris SGF surge filters provide optimum Class I MSB and DB protection using robust spark gap technology in combination with a low pass L-C filter for critical equipment up to 250A per phase. 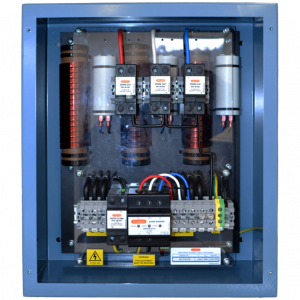 The Novaris SFD2 range of two phase surge filters are designed for protecting floating AC or DC power supplies. Applications include DC power supplies, balanced circuits for rail applications and single phase IT systems.